John McCredy McAlery was born in 1849 in Rathfriland, Co. Down. McAlery was the manager of the Irish Tweed House gentleman's outfitters in Belfast and became interested in the game of football when attending a match in Scotland. There was no tradition of the game in Ulster. While on honeymoon in Scotland in 1878, he watched football being played for the first time. He was already an accomplished cricketer and Treasurer of Cliftonville Cricket Club. He was so enthralled by the sport of football that he invited the Caledonians' captain, J.A. Allen, to bring a match to Belfast. So it was that on 24 October 1878 a properly organised game of Association Football was first played in Ireland; Scottish sides Caledonians and Queen's Park playing a demonstration game at the Ulster Cricket Club in Belfast. The game in Ireland grew from that landmark. On 20 September 1879, in an advertisement in the News Letter, McAlery invited "Gentlemen desirous of becoming members" to an open practice for Cliftonville Association Football Club (Scottish Association Rules). Thus the first match played by an Irish Association Football club was between Cliftonville and Quidnuncs, a team of rugby players, on 29 September 1879. The rugby players won 2-1. McAlery set about the problem of finding rivals, by helping to found Knock FC. The formation of Knock followed a familiar pattern, with a team made up of members of an existing lacrosse club, as Cliftonville had been from an existing cricket club. McAlery travelled far and wide across Ulster to encourage others to try his 'new' game. On 18 November 1880 McAlery and Cliftonville FC organised a meeting at the Queen's Hotel in Belfast, attended by representatives from Avoniel FC, Distillery FC, Knock FC, Oldpark FC (all Belfast), Moyola Park FC (Castledawson) and Alexander FC (Limavady). It was at this meeting that the Irish Football Association was formed, creating a constitution and formalising the game rules along the lines of the Scottish Association. Major Spencer Chichester was appointed as President and McAlery as Secretary. In an appendix to the minutes of that first historic meeting McAlery wrote: "If the spirit which pervaded from those present be acted upon, the result will be a strong Association for promoting the game which we have espoused." The founding meeting also provided for a cup competition, the Irish FA Cup. The inaugural Irish Cup draw was held on 10 January 1881, with McAlery's Cliftonville set to play Oldpark in the first round. A 2-0 victory set up a semi-final match with Knock, which was won 2-1 in a replay. In the first Irish Cup Final, held on 9 April 1881, Cliftonville faced Moyola Park at the Cliftonville Ground, losing 1-0. The following year they again reached the Final, and again lost 1-0, this time to Queen's Island at the Ulster Ground, Ballynafeigh. Finally in 1883, at the third attempt, McAlery got his hands on an Irish Cup winner's medal, when Cliftonville defeated Ulster 5-0 at the Bloomfield Ground, Knock. 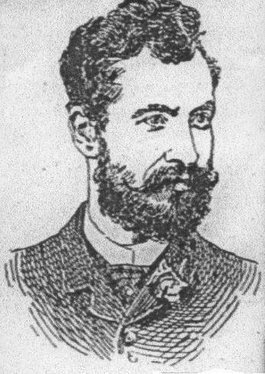 On 18 February 1882 John McAlery captained Ireland's first-ever international match, against England, in a 13-0 defeat at Bloomfield. A week later he led Ireland in their first away match against Wales, who won 7-1 in Wrexham. Although those were his only 'Caps' McAlery remained actively involved in international football, regularly acting as referee at Home Nations matches until 1887. McAlery remained as Irish FA Secretary until 1888 when his assistant, Jack Reid succeeded him. He continued to take an active interest in the game and pride in Ireland's successes and in the continued growth and development of the local game that he had played such a big part in bringing to, and establishing, here. McAlery died on 3 December 1925.